AnonD-309157, 19 Sep 2014akbar_viation hey,u now use grand 2? the screen big or not?Screen size is very use full. we can read documents while traveling. Even students can read exam documents, while traveling for exams. kitty, 18 Sep 2014hey,is it samsung galaxy grand 2 very good to be use? i am now confuse that wan to buy grand ... moreakbar_viation hey,u now use grand 2? the screen big or not? ravi ( ezone mobile , 18 Sep 2014ofcourse note 2 best comparison with grand 2. its comes with super amoled display ,long life b... moregrand 2 or mega 2 better? nick, 18 Sep 2014i'm using galagy grand 2. when i make a video call on fring, always it is showing "Device... moreUse skype and see maybe fring has a software problem somewhere. AnonD-309280, 19 Sep 2014Recently i have bought Grand 2, in that there is the problem with the Mobile is always getting... moreDo a factory reset you seem to have installed a corrupt software somewhere. zahir, 18 Sep 2014Grand 2 is good... but u can spend some more money.. I recomend you note 3 neo. Grand 2 is ar... moreVery true,Neo is a better choice if budget is not the problem. Sometimes camera stops working. ...any suggestions plus. Hello guys i'm having problem with camera.. Recently i have bought Grand 2, in that there is the problem with the Mobile is always getting restarting while there was no usage with the Mobile. Please Suggest the options can be followed. alex, 18 Sep 2014Hay frnd can anyone tell me is grand 2 best or note 2 is best. ..frmt me frnd i am waiting. ...Grand 2 is good... but u can spend some more money.. I recomend you note 3 neo. akbar_viation, 18 Sep 2014i just bought this phone, it's great. Nice processor speed, screen brightness is good and etc!What about the battery dude? For how many hours does it last on average usage? 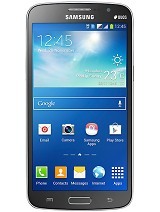 ofcourse note 2 best comparison with grand 2. its comes with super amoled display ,long life battery. execellent picture resolution and styluss work (PEN).superb experience. 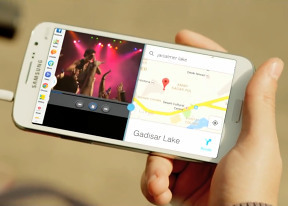 i think note 2 one of the best phone samsung was launched. 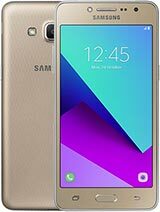 hello,is it good to use samsung galaxy grand 2? i am now confuse about samsung galaxy grand 2 or samsung galaxy mega 2!! pls reply as fast as possible!! 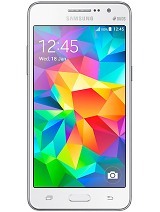 akbar_viation, 18 Sep 2014i just bought this phone, it's great. Nice processor speed, screen brightness is good and etc!hey,is it samsung galaxy grand 2 very good to be use? i am now confuse that wan to buy grand 2 or mega 2! alex, 18 Sep 2014Hey frnds can anyone tell me is grand 2 best or note 2...plzzz rly me fast frnds....I am using note 2 for a year now, and i must say that this device runs smoothly. I havent used grand however, from the specs i would choose the 16gb/2gbram note 2, over the 8gb/1.5ram. Furthermore i would suggest you to check out the nexus 5. It is in the same price range and has the same or perhaps slightly the same specs. i just bought this phone, it's great. Nice processor speed, screen brightness is good and etc!